What’s better than a day on the water? How about good food and drink? Put ‘em together and you’ve got great summer memories. Our 2017 print issue encourages everyone to Get Outdoors! To that end, we’ve compiled a place of South Coast eateries that welcome boaters to pull up for lunch, dinner and/or drinks, from one end of the South Coast to the other. We recommend you call ahead to make sure there’s space and to make sure it’s appropriate for your boat. 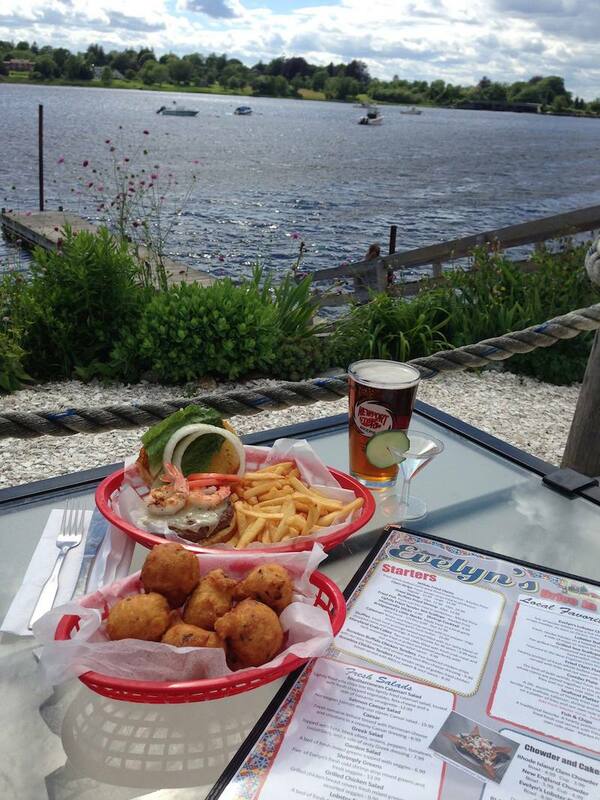 Our favorite fried clam shack has expanded its menu and has a dock right alongside for boaters. They’re so accommodating at East Wind that some boaters call in their orders and the staff brings them out to the dock, kind of like a drive thru for boats. Call ahead to see if there are spaces available at the dock. From Buzzards Bay, head toward Buttermilk Bay. East Wind is to the right immediately before the bridge. Be warned, as you head towards Buttermilk Bay, you pass under a train bridge. If your boat is taller than 7 feet from the waterline, you’re out of luck. 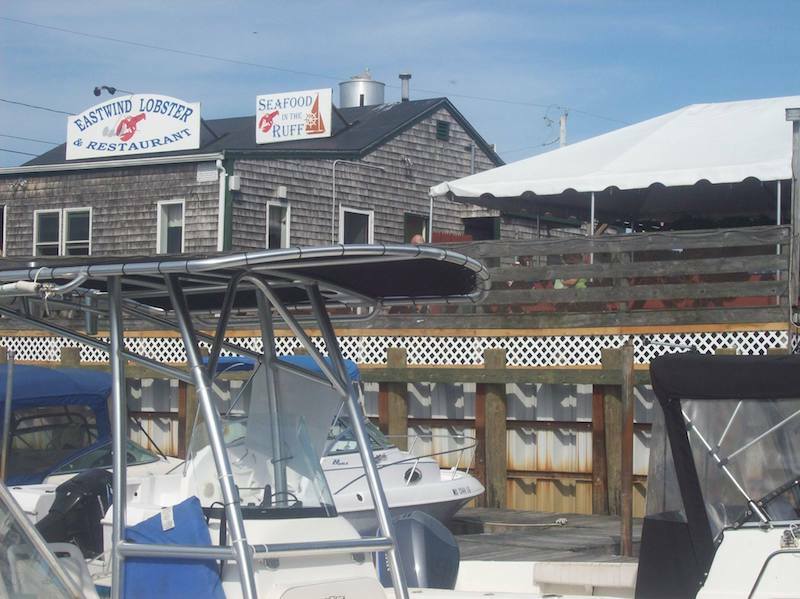 East Wind Lobster and Grille, 2 Main Street, Buzzards Bay. 508-759-1857. This is our neighborhood joint so we’re partial to it. We’re lucky enough to be able to walk but we love the two other unique ways to arrive: by boat and by pedicab. If arriving by boat, head into Onset Harbor toward the town dock. Then round Nun #16 and go under the bridge, the marina and restaurant are immediately on your left. Yellow cones mark available slips for restaurant patrons and it’s just $5 to tie up. You can ask for a spin on the Stonebridge Pedicab to get a little tour of Onset from the back of a pedicab. Stonebridge Bar and Grill, 5 East Boulevard, Onset. 508-291-2229. Uniquely situated on Popes Island, Fathoms allows a front row seat for guests to watch the fishing vessels entering and leaving busy New Bedford Harbor. You’ll see firsthand why New Bedford is the nation’s busiest commercial fishing port. 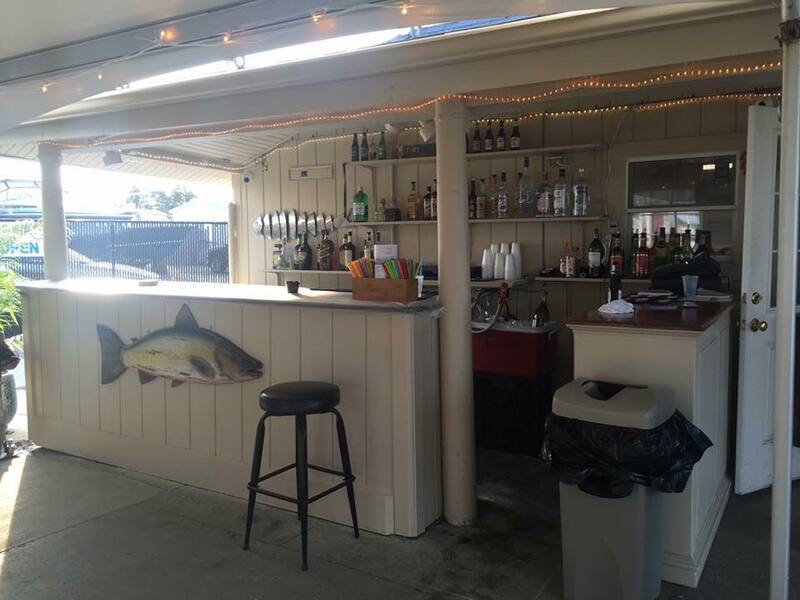 Owned by a local fisherman, Fathoms Bar & Grille features local seafood (not surprisingly) and classic American fare. 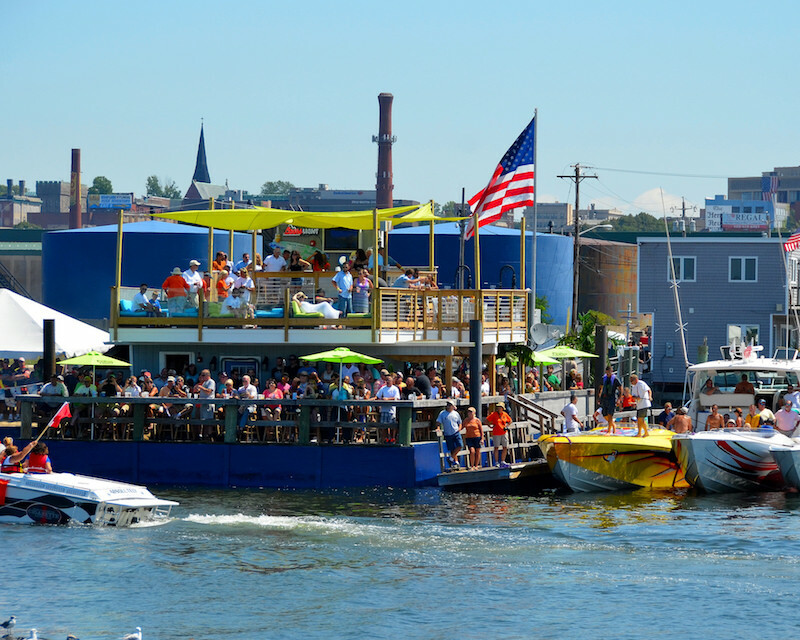 Fathoms offers a floating 60 foot dock where customers may tie up to enjoy a meal. It’s self serve, first come-first serve. Pull right up to the Niemiec Marina. 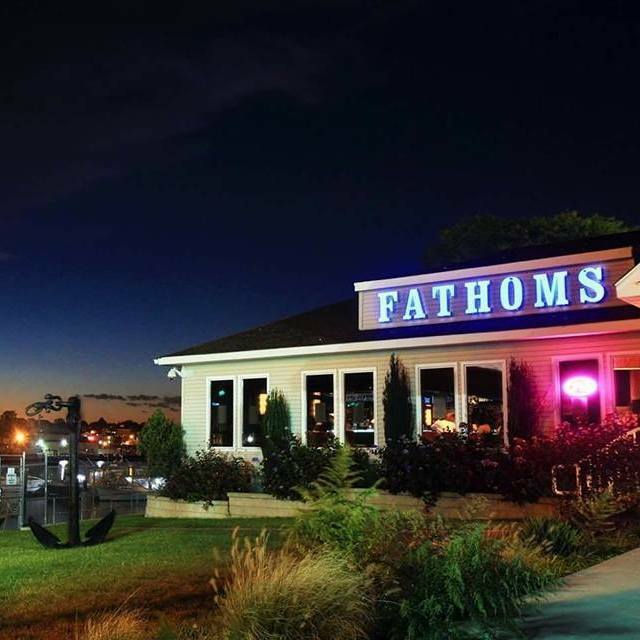 Fathoms Bar & Grille, 255 Popes Island, New Bedford. 508-993-3400. Three generations of Heberts have taken good care of your boat at Earl’s Marina. 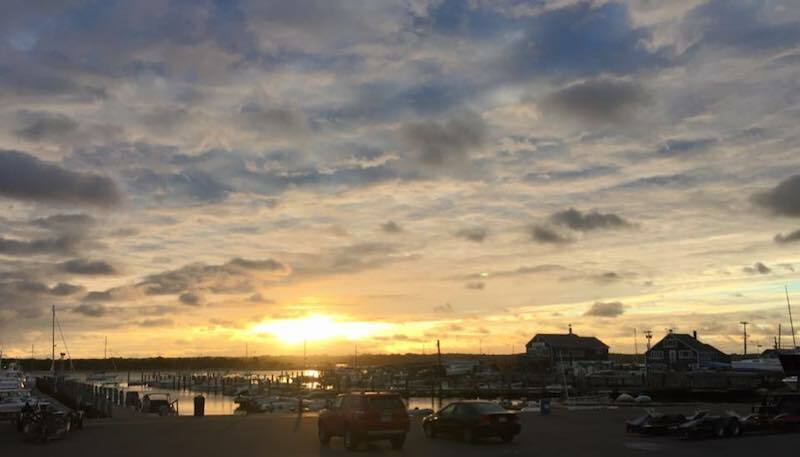 In 2006, the family opened Down the Hatch, an outdoor restaurant and bar which is a popular spot for boaters and Fairhaven residents. It’s a family oriented place. Kendra Galary runs the place for owners Jim Moraux and Matt Hebert. Hebert babysat Kendra when she was a kid. She, in turn, babysat Matt’s kids. People boat over, kayak over, and jet ski over for ice cream, food, and drinks. Kids play at the little beach at low tide. 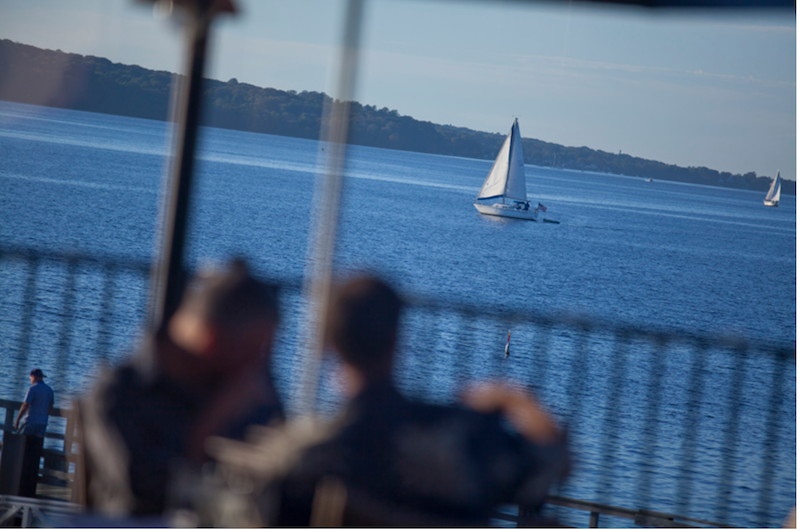 With live music in the evenings, it’s a place that has something for everyone. Just pull your boat (or any other watercraft) up to the transit dock. 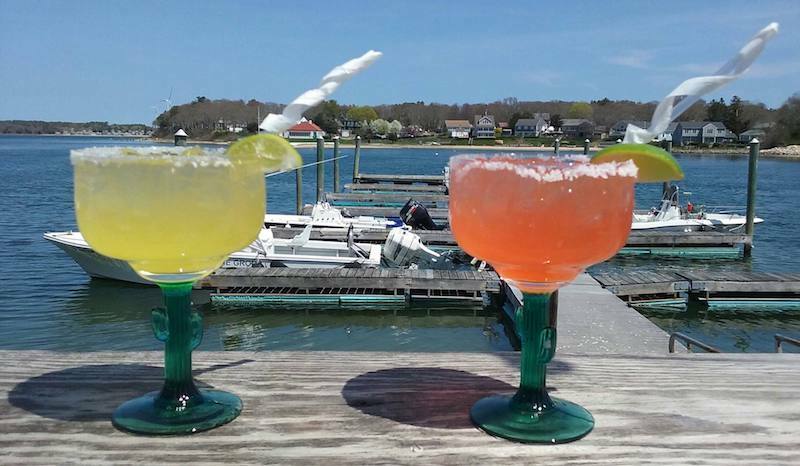 Down the Hatch at Earl’s Marina, 56 Goulart Memorial Drive, Fairhaven. 508-993-0008. Open Memorial Day through Columbus Day. Thursdays, noon to 11 pm; Fridays and Saturdays, noon to midnight; Sundays, noon to 9 pm. A casual place that’s always jumping with a great bar and consistently tasty food, the Sail Loft overlooks the South Wharf Yacht Yard which offers free dinghy access and complimentary two hour tie ups. Sail Loft, 246 Elm Street, Padanaram. 774-328-9871. 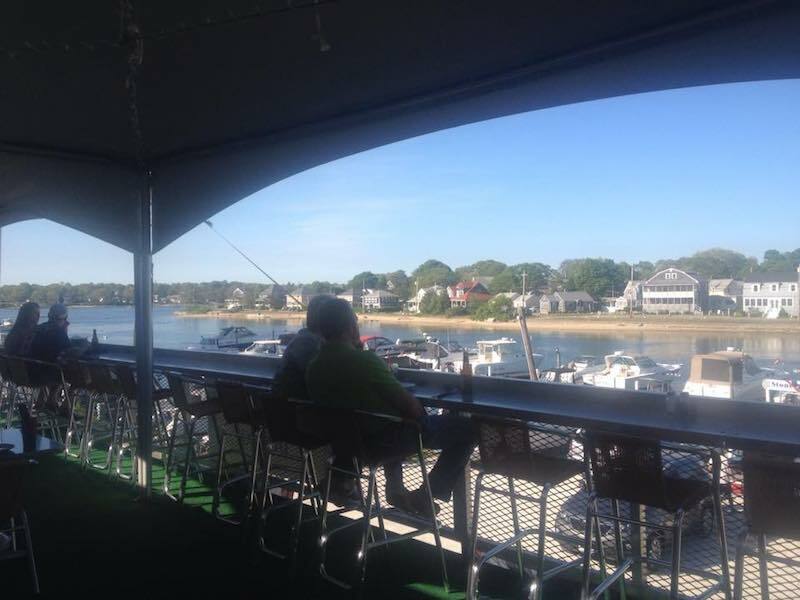 The Boat House has its own dock and beautiful views of the Sakonnet River. An all around lovely dining experience. The Boat House has its own dock and in good weather, there’s a dock boy available to help boats tie up. Boat House Restaurant, 228 Schooner Drive, Tiverton. 401-624-6300. Classic fare that you’d expect from a business that’s been around over 40 years with some unexpected twists – like the lobster chow mein! Dock space is available. When you approach Nanquaket Pond, motor slowly under the bridge. The dock is inside on the left. If you’re coming by sailboat, you can anchor outside the bridge, in the lee, out of the southwest wind and dinghy in. The pond is particularly calm in all weather for a meal at anchor on the water. Got other ideas to include on the list? 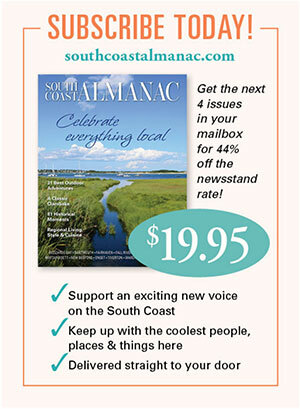 Send them to us at [email protected] and we’ll include them.